Gujarat is a state that flaunts its vibrant heritage each passing second. The state is bestowed with inspiring culture, and overwhelming history, coupled with architecture that will move you from within. 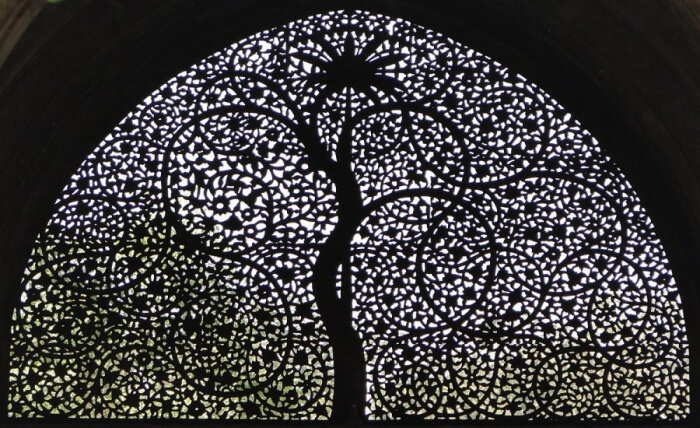 The historical places in Gujarat invites pilgrims and historians from around the world. While some places like Laxmi Vilas Palace define sheer grandiose, landmarks like Dwarkadhish Temple and Dholavira narrate tales of a legendary past. This list of best historical monuments in Gujarat will acquaint you with important tourist information, including timing, entry fee and major highlights. 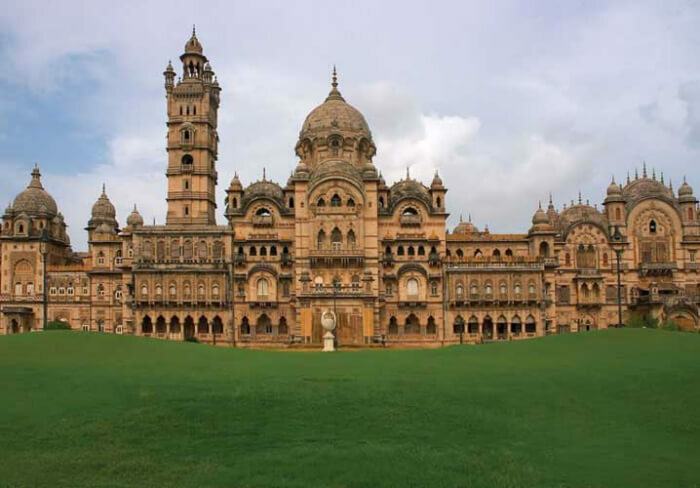 One of the most famous historical places in Gujarat, Laxmi Vilas Palace serves as the residence for Vadodara’s royal family, Gaekwad. The property has its history dating back to 1890 when it was built by Maharaja Sayaji Rao III. Spanning across an area of 500 acres, the facade itself is intricately designed using the Indo-Saracenic Revival style architecture, let alone the interior that spell grandeur in every inch. A lot many movies have been and are shot in the Darbar Hall of the Laxmi Vilas Palace, as it is available for shoots. The palace is indeed four times bigger than the famed Buckingham Palace, and thus it also is known to be among largest private dwellings in the world. 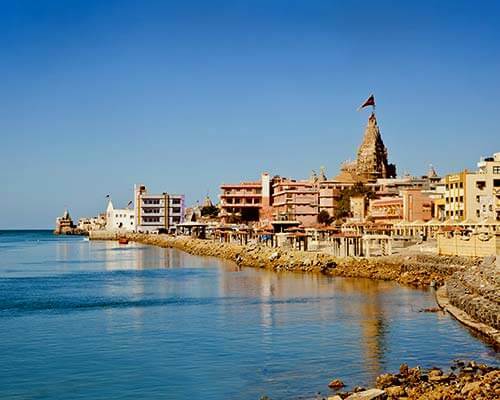 An important Hindu Pilgrimage spot dedicated to Lord Krishna, Dwarkadhish Temple is also known as Jagat Mandir. This is one of the four Char Dhams, and thus it had to be featured in this list of 10 historical places of Gujarat. Supported by 72 pillars, this five-storeyed archeological marvel is said to be as old as 2200 years, as per the findings. The temple is located in Gomti creek, and is always flocked by crowd of pilgrims, especially during the grand celebration of Janmashtami. During this time of the year, the temple and idols are decorated colorfully with garlands, ornaments and different elements. 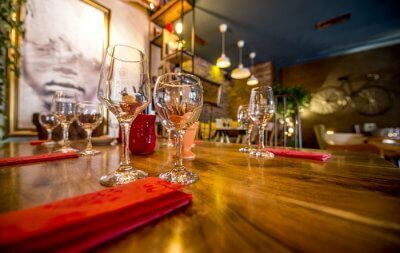 The vibe is full of zest in the locale, making it a must visit! 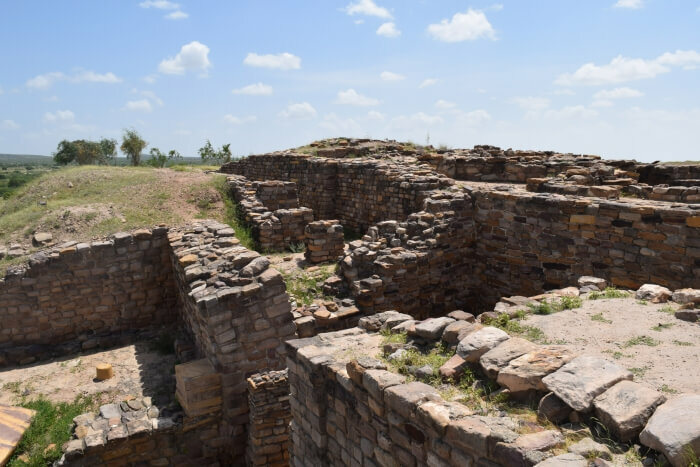 Dating back to the Indus Valley Civilization era, AKA Harappan culture, Dholavira is a 4500 year old excavation site. 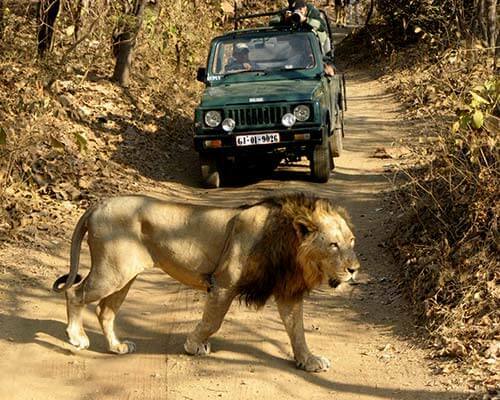 This is one of the most famous heritage sites in Gujarat, which was discovered by Mr. J.P. Joshi in 1967. The site is located in Bhachau Taluka, Kutch. So, this is an unmissable tourist attraction if you are attending the Rann Utsav , held during the winter season. Located in Mandvi Beach, Vijay Vilas Palace was built by Rao Vijayraj Ji in 1929. 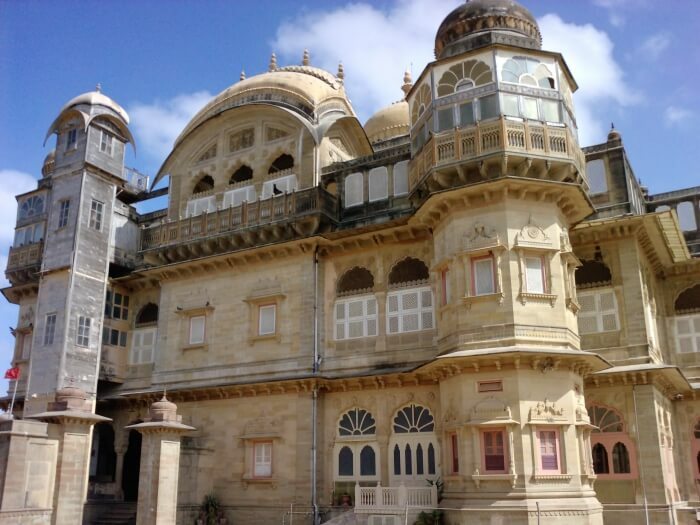 Back in the time, it primarily served as a summer house for the Jadeja rulers of Kutch province. 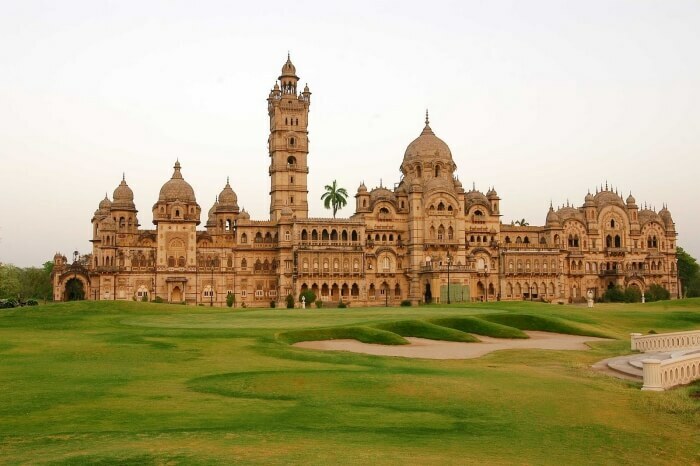 This is among the most important historical places in Gujarat, as the royal family of Kutch still call this majestic palace home. Right here is where you will witness a rhythmic blend of mainly three architectural styles, namely – Rajput, Mughal and Victorian. 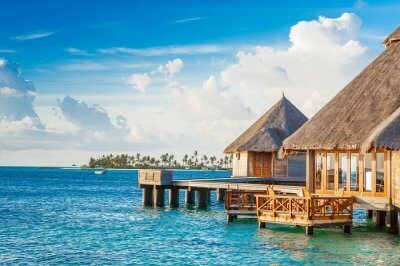 The palace covers a massive area of 450 acres, which is adorned with manicured garden and a private beach spread across two kilometers. Some part of the palace has been converted into a luxury heritage resort, which indeed is one of the best luxury properties in India! 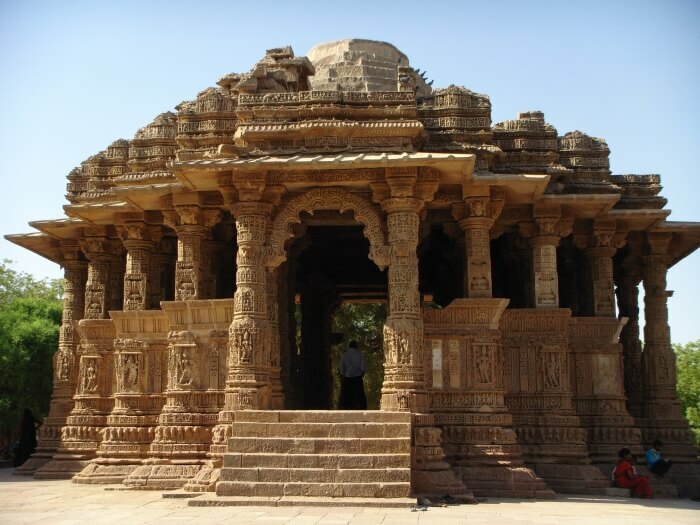 The Sun Temple in Modhera is among the most sought-after historical places in Gujarat, or rather India. This Hindu temple is dedicated to the Sun God, and is located in the embankment of River Pushpavati. In 1026 AD is when Sun Temple was built, back in this time Bhima I of Chalukya Dynasty had the throne. 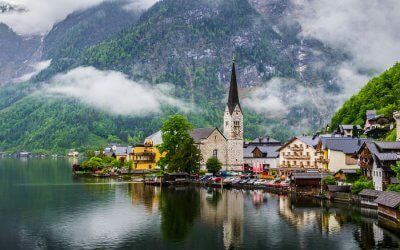 However today, there are no offerings and prayers taking place here, it is primarily a historic site of tourist interest, as maintained by the Archeological Survey of India. The temple is a marvel to behold, flaunting the best of Maru-Gurjara style of architecture. Oftentimes, the Sun Temple of Modhera is counted among the Seven Wonders of India. 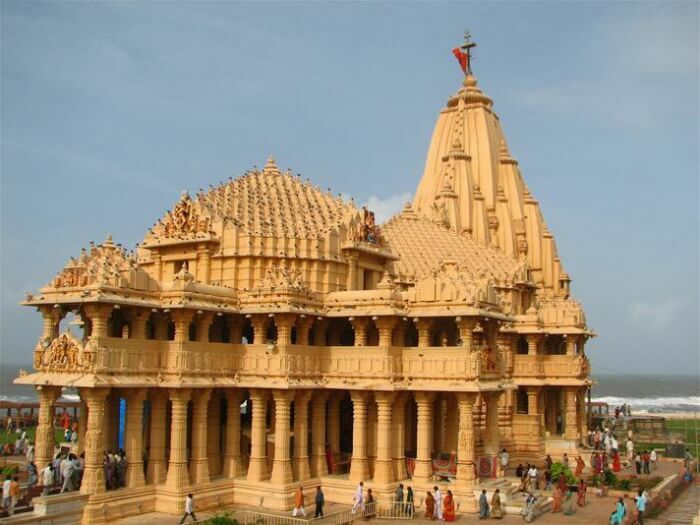 One of most important monuments of Gujarat, Somnath Temple is said to be the first of Lord Shiva’s twelve Jyotirlinga shrines. As per the findings, the temple has been reconstructed many times, and the most recent change was done in 1951 by adopting Chalukya’s style of architecture. Your tour through the heritage sites of Gujarat would be incomplete if you don’t step foot on this pious landmark. If must be kept in mind that items such as mobile, camera and other electronic gadgets are not allowed inside the temple. You can either leave these items behind in your hotel room or store them in the locker room outside the temple. 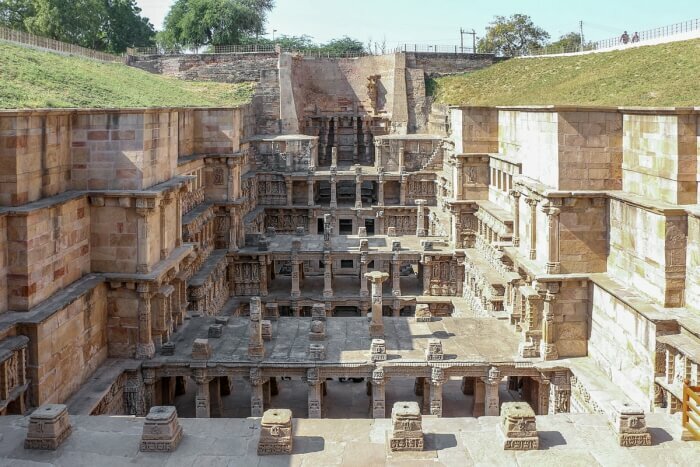 Rani Ki Vav was built by Udayamati, in the memory of her husband King Bhimdev 1, in 1063 AD. This massive stepwell was used to take out water from River Saraswati, which has dried today. This is one of the most iconic archeological sites of Gujarat, located in Patan. This is a UNESCO World Heritage Site which displays the rich history and artistry of the state through different sculptures and of course the smart architecture. Talking of the architecture, the style used for its creation is Maru-Gurjara, which was based on several complex techniques. 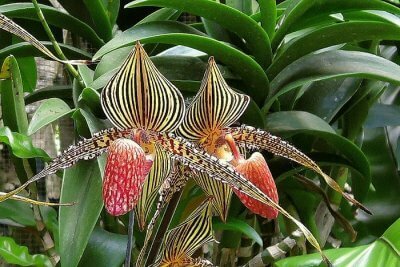 Surely you will admire the intricacy! 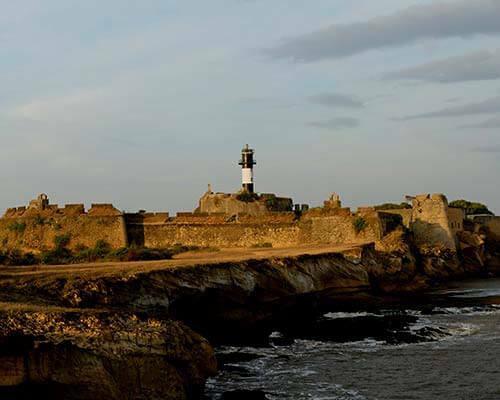 A famous landmark in Daman, Nani Daman Fort or Fort of St. Jerome is a rather small citadel. The exterior features three bastions and 2 doorways, and the massive statue of St. Jerome on the embankment. 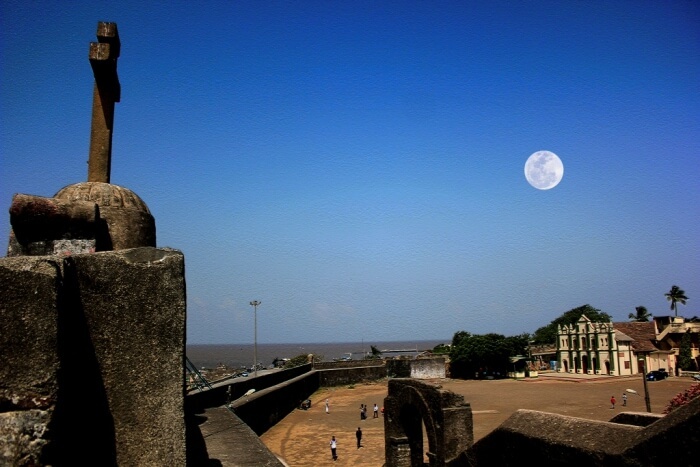 The ancient monument was built in 1672 AD, by the twelfth Portuguese Viceroy of India, Dom Jeronimo. 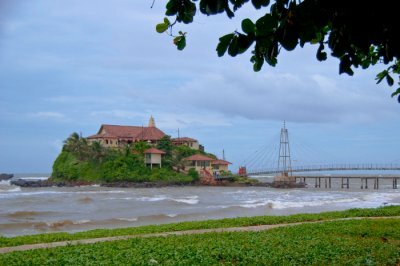 Today, the Nani Daman Fort serves as an educational institute, with a view to savor! This list of heritage places in Gujarat would look empty without the mention of Sidi Saiyyed Mosque. The structure dates back to 1573. Interestingly, it was established by a slave of Sultan Ahmed Shah, Sidi Saiyyed, after whom the mosque is named as well. This was among the last Sultanate structures in Gujarat. The interiors of the mosque is worth an applause! Built in Indo-Saracenic style of architecture, Sidi Saiyyed Mosque is adorned with intricate jaalis windows and chiseled marble. 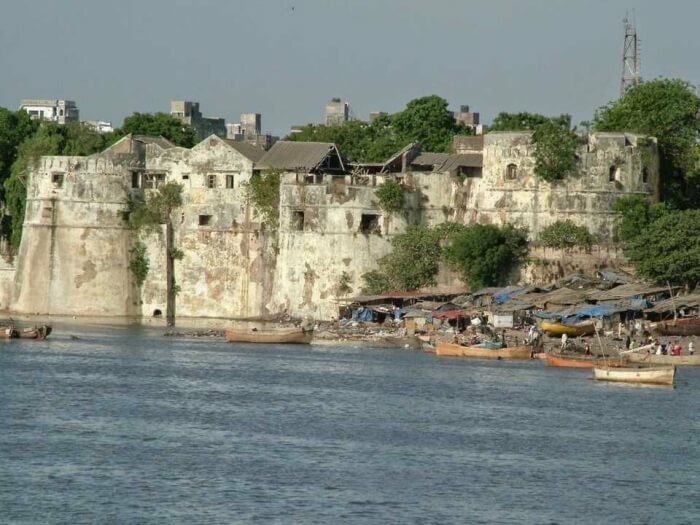 Built by Muhammad Tughlaq back in 14th century, Old Fort of Surat was primarily used as a guard against the Bhils. 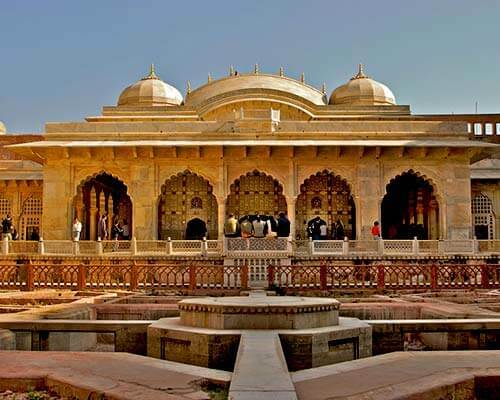 This is among must-visit historical places in Gujarat as there’s inspiring legends awaiting you. However, currently the fort is under maintenance, it is suggested you confirm its opening with Gujarat tourism before planning a visit. 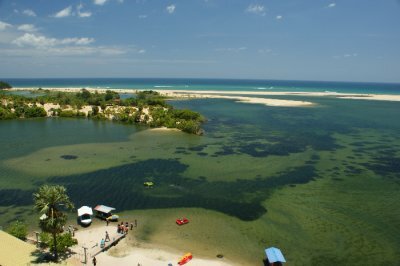 Tapi River flowing by the monument makes the landscape more stunning, don’t forget to carry your cameras!